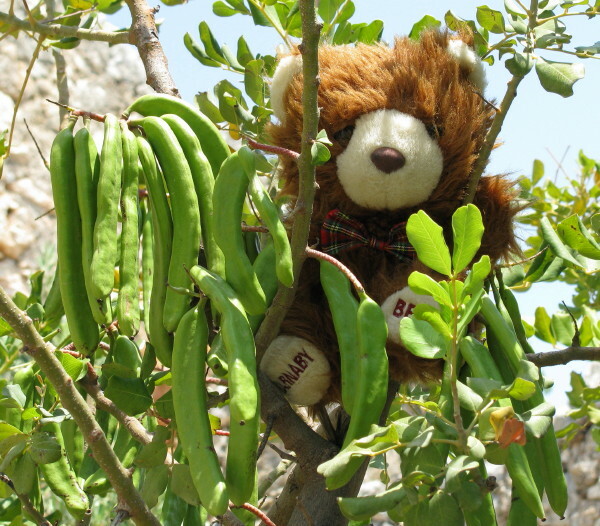 Today Barnaby got rather over-excited when he came across a carob tree growing among the castle ruins in the little village of Kaleköy on Turkey’s Mediterranean coast. 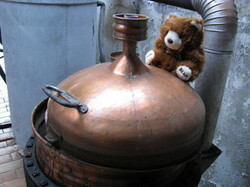 Today Barnaby was so intoxicated by Gaby Demoulin’s alambic au feu de bois (wood-fired still) and vast array of eaux de vie and liqueurs (including raspberry, gentian, quince, bay and laurel), that he nearly stayed at Ferme La Fonderie. The fruits go through a double distillation process, and finally end up in beautiful bottles on sale at the farm shop. The lemon seems to be such a common, and essential, fruit, that you’d imagine it had been around since the beginning of time. Not so. The original three citrus plants, from which all others have been bred, are the citron, the mandarin and the pummelo. 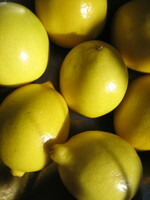 The lemon is probably a multi-step hybrid, involving the citron, the lime and the pummelo. Lemons arrived in Europe 1500-2000 years ago, having originated in what is now Pakistan and India, and coming via the Middle East. ‘Melon’ comes from the ancient Greek word for apple and other seed-containing fruits. The Greeks called a melon a ‘melopepon’ (‘apple-gourd’), which became shortened to ‘melon’ or similar in many languages. 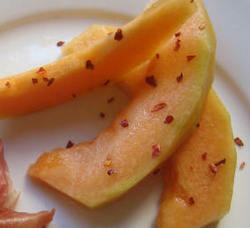 In Tuscany, where prosciutto with melon is a classic dish, the fruit still goes by its ancient name, ‘popone’. A similar word is used in Romanian. Who was Granny Smith? 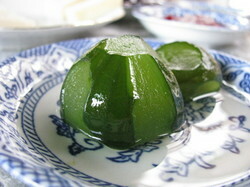 The apple is named after Maria Ann Smith, who first propagated the variety in Australia in 1868, apparently by chance. 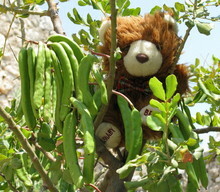 It is thought to be a cross between a wild species and a domesticated one. Maria and her husband had been recruited to come to New South Wales from England 30 years earlier due to their agricultural skills. The apple was then widely grown in New Zealand, then introduced to England in 1935 and the USA in 1972. A fresh Granny Smith will be bright green, firm, heavy, shiny and with a tight skin, as depicted on the logo of Apple Records, known for releasing Beatles tunes from 1968 onwards (and for fighting with Apple Computers over use of the apple). 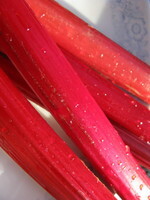 Granny Smiths are great for eating, cooking and salads as they are so juicy, crunchy and tart. They also go brown less quickly than other apples once cut. To ensure your slices don’t go brown you can rub them with a wedge of lemon. Figs were one of the first plants to be cultivated by humans. Recent evidence found suggests they were cultivated in the Jordan Valley as early as 9400-9200 BC, ie before the first cereals were domesticated. The fig is actually a fig/flower – the tiny flowers are clustered inside.